Fata Development Authority Jobs 2018 is listed below in our site - jobsinpakistan.xyz. The advertisement for Fata Development Authority Jobs is come on newspaper of 13 October 2018. The last date for submitting of application forms for Fata Development Authority Jobs is 29 October 2018. The age limit for Jobs in Fata is 18 to 35 years. 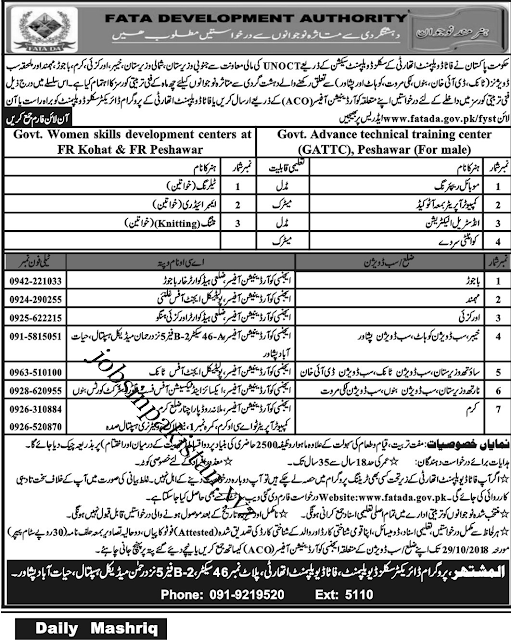 Fata Development Authority required the applications for following jobs.